This course is for all individuals who have the responsibility to check respiratory protective equipment (RPE) on a monthly basis, to ensure that they are competent in the use of and can perform inspections on RPE in accordance with manufacturer's instructions and the actions/outcomes recorded appropriately. 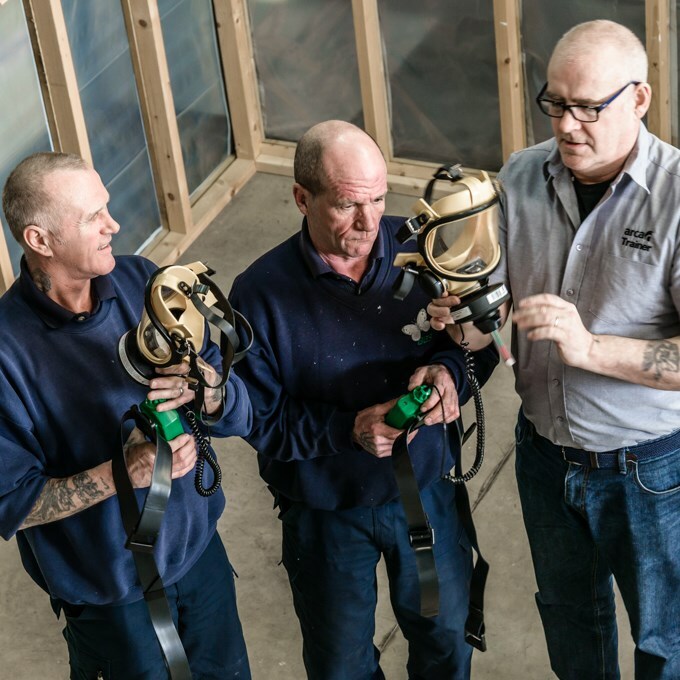 A range of Scott respiratory protective equipment is covered on this course. Certificates are issued by Scott Safety and valid for 3 years. Half day course is run at ARCA centres throughout the year, and can be delivered in-house, if the client can provide a suitable venue and facilities. For Members the fee is £95 (exc vat). For Non-Members the fee is £125 (exc vat).